J. Richard Claywell, CPA was invited to speak at the Central University of Finance and Economics in Beijing China on April 29, 2012 on the topic titled “Relationships Between Risk and Value in Valuation”. The presentation was given to graduate students studying business valuations. The presentation discussed the reasons for a business valuation, The Harmony Between Risk and Value, Qualified Valuator Can Search For Risk, Where can risk be discovered, Risk in Financial Statements, Conducting Management Interviews, Risks from Ratio analysis, and Tools to Finding Clues of Risk in Financial Statements. After giving the presentation, Dr. Haitao Ma, Dean of the University asked Richard Claywell if he would accept a position as a part-time professor at the Central University of Finance and Economics. Richard Claywell accepted the position. Richard Claywell is planning on another visit to China in September 2012 and will present again at the University. 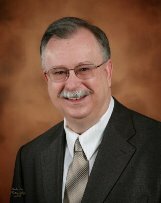 J. Richard Claywell, CPA, ABV, ASA, CBA, CVA, CM&AA, CFFA, ABAR is based in the Houston Texas area. Mr. Claywell specializes in Estate and Gift valuations, Economic Damages, determining the Adequacy of Life Insurance for Buy/Sell Agreements, valuing Family Limited Partnerships, testing of Goodwill Impairment, Divorce valuations, Dissenting Shareholder valuations, Split-Up’s and Spin-Off’s of companies, and Exit Planning. Mr. Claywell is qualified to assist in Business Valuation and Damages Cases Malpractice Support, business Valuations/Business Appraisal Reviews in Litigation, Business Valuation Standards Compliance Reviews, Business Valuation Mediation and Arbitration, Expert Witness Testimony, Expert Consulting, Firm Quality Control Reviews, and Expert Screening for Attorneys. Visit http://www.biz-valuation.com to view J. Richard Claywell’s full company profile and biography of J. Richard Claywell.